Known to the POWs as "Henry the butcher"
of the shop in Hollis Long Island. My father went over to the United States in 1923. At first he worked with his 2 uncles in New York. They had a butcher shop in a great market hall. He married my mother (a German) in 1926 and they had their wedding dinner at the Waldorf Astoria. My sister was born in 1929. He started his own business with a friend on Jamaica Avenue in Long Island. The business did very well and they expanded the shop. Then his mother in Germany became very ill and he sailed back to Germany to visit her. 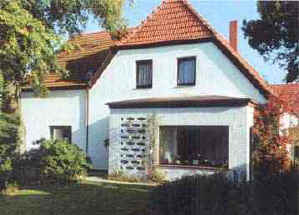 In Germany his parents owned a general store in a small village close to Bremen. Due to her illness she asked him to move back to Germany to take over the family store. My father promised her he would come back. My mother wanted to stay in New York, because they had a good apartment with all the things that make life easy. 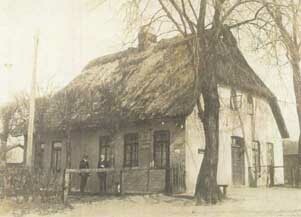 In Germany there was an old house without central heating or indoor plumbing. 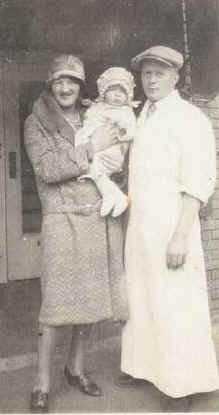 But she followed her husband with their little daughter and they returned to Germany in 1930. With the money my father got from the sale of the business they brought the house in Germany up to date with central heating, indoor plumbing and so on. That same year (1930) his mother died and just 2 year later his father died. So I did not know my grandparents, as I was born in 1938. 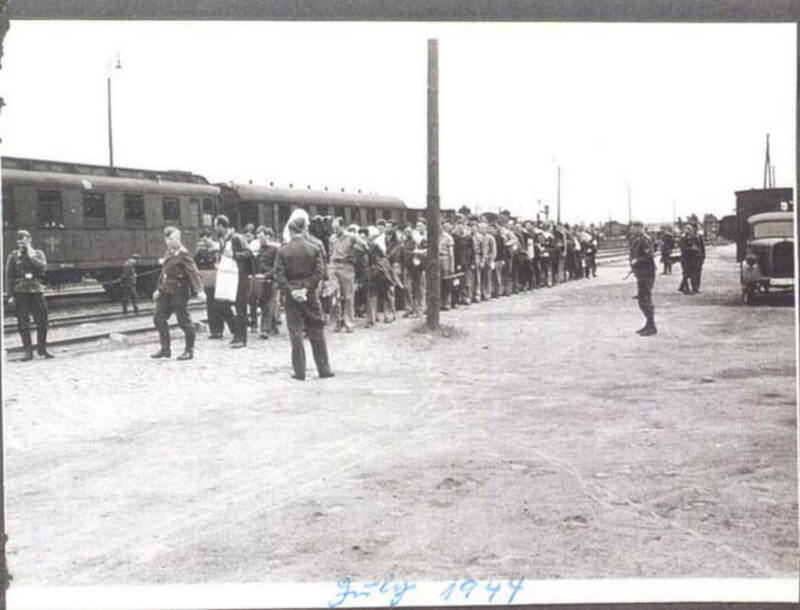 In September 1939 the war began and my father was called up to the war in 1941. When the war began he was not able to come home very often and then only for a few days at a time, so he remained unknown to me. On a recent visit to the United States I visited with an American ex-POW that remembered my father from his stay at Stalag Luft I. He told me that he remembered my father as a man always smiling and he respected and admired him as a soldier even though they were on opposite sides. He told me that while he was a POW he expressed an interest in learning German so my father bought him a dictionary. For me it was great to speak with a man who knew my father, because I did not get to know him very well. 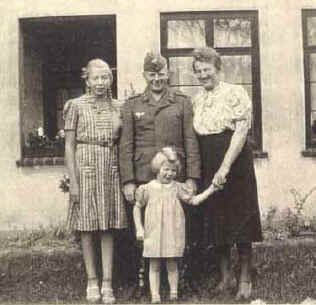 Grete's father did not return home when the war ended and for many years the family never knew what happened to him. Was he alive or dead? 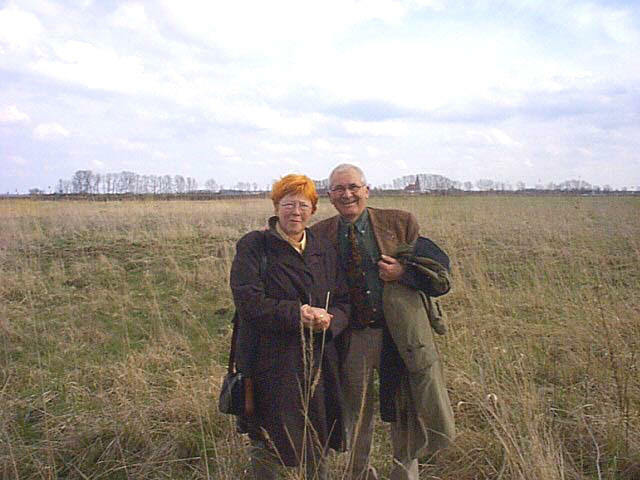 After the war Barth was in the Soviet controlled portion (East Germany) and not until the wall came down in November 1989 was Grete able to travel to Barth in search of her father. She asked the local residents but no one knew anything about him. 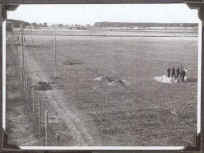 She did learn that several unidentified people had been found dead shortly after the liberation of the camp and were buried in the town cemetery. 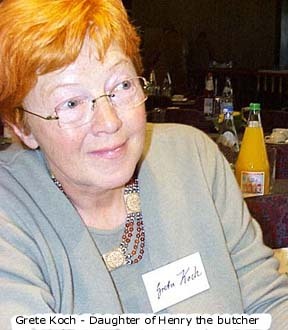 Grete would continue to return to Barth whenever she learned of groups of ex-POWs visiting the former campsite. During one visit she was told by an American ex-POW that her father had been shot and killed in the days after liberation by an American POW. He told her that her father had encountered the POW in town and words were exchanged. Her father made the remark that "I will be home before you are" and with that the POW pulled a gun and shot him. If you have any information to confirm or deny the above account please let me know. Any other information about Henry that his daughter might be interested in knowing please email me and I will pass it on to her . This poem was found in Henry's personal photo album. It is not know who the author was. And why have we stood there, so "Browned off" and mad? Because Unterofficer Noyes just couldn't add. We've dug nice long tunnels through miles of sand. Made fancy clothes and hid in tin cans. But why have we failed to leave "Kriegie" Land? Because Henry the "Butcher Boy" is always on hand. And the barking of watch-dogs that bother our sleep. Just call of your Blood-hounds and let us escape! "When I was young and living in Garden City, Long Island, New York, my mother would always drive to a neighboring town, named Hempstead, on Saturdays for her weekly supply of meats. I always wanted to go with her because I loved the atmosphere of the shop due to it's large chopping block and the sawdust on the floor. This was during the 1930's. The name of the owner was "Herman". Mom told me one day that Herman had returned to Germany in the late 30's because Hitler had demanded all Germans born in Germany to return to the Fatherland to help become a great nation. As he put it "Once a German, always a German". Herman related to that, according to my mother and left the US with his family. She missed him very much, and never found another butcher she liked as she did "Herman". I, as a member of the 8th Air Force, was shot down in July 1944. I arrived in Barth and Stalag Luft I (Eins) in August. Upon arriving, I was processed as a prisoner in the normal fashion. About the second or third German to whom I presented myself said to me "Richard ! -- how wonderful to see you. How is your mother?" It was "Herman the butcher"! 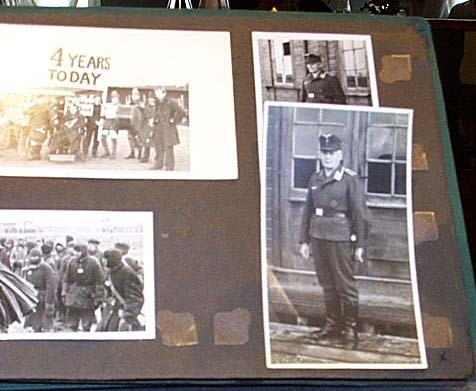 A page from the photo album. The above photo of man standing in front of doors is Henry the Butcher, Henrich Haslob. 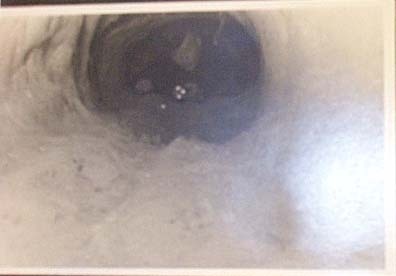 Stalag Luft I guard with flashlight in tunnel dug by prisoners in an unsuccessful attempt at escape. The date of this tunnel is 7/20/44. 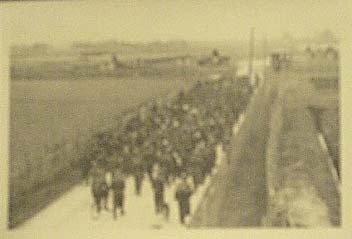 This is a photo of the prisoners marching down the road to the prison camp. This is the same road as seen above in the Memorial site photos. 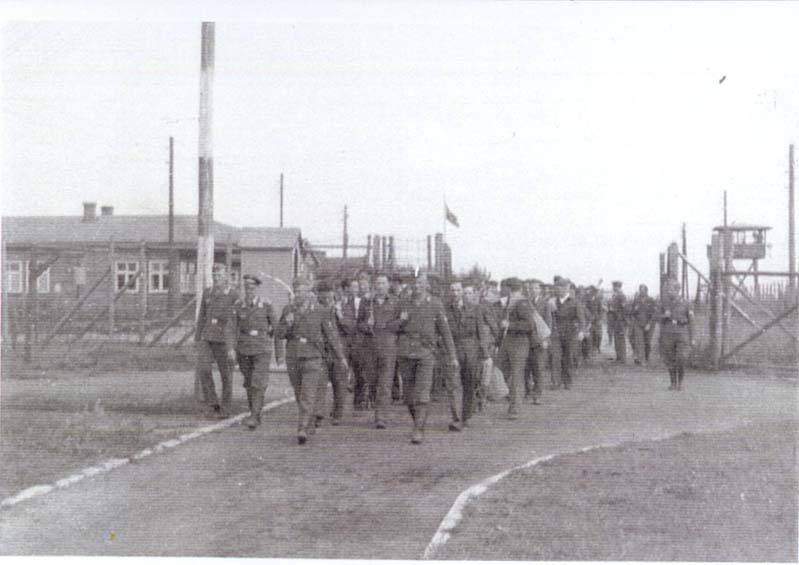 More photos of German guards at the camp. Henry is in the middle. 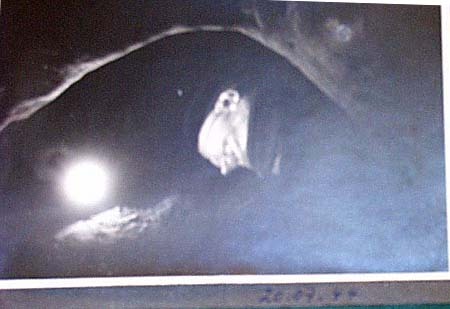 German guard inside tunnel dug by the prisoners. 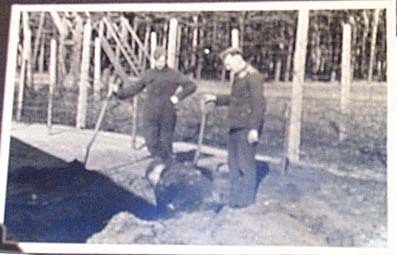 German guards and newly discovered tunnel. 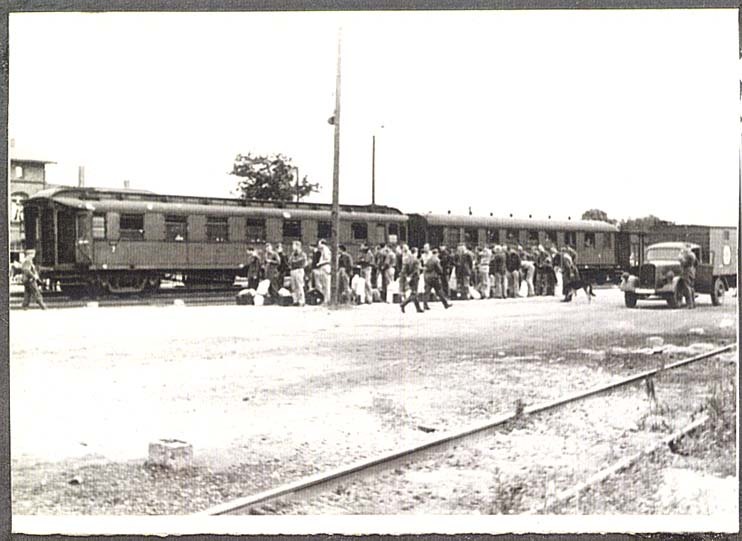 POWs arriving in July 1944 at Barth train station, preparing for march to Stalag Luft I. 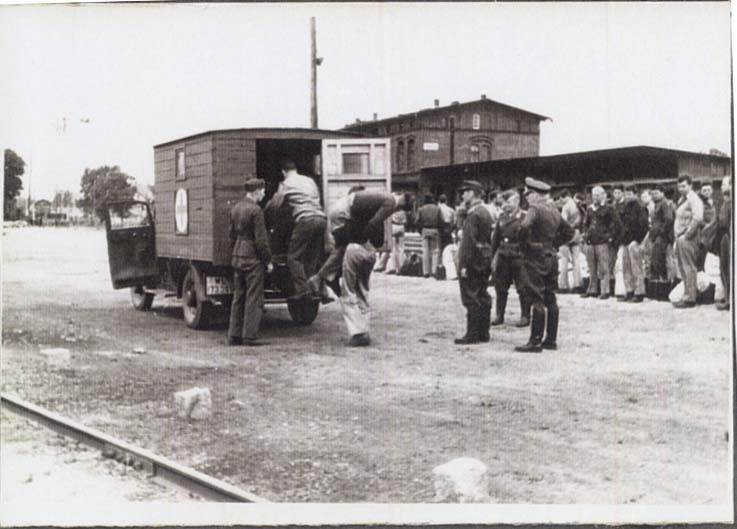 Injured POWs being loaded on Red Cross truck (by fellow POWs), for trip from train station to Stalag Luft I in July 1944. Healthy POWs in background awaiting their march to the camp. 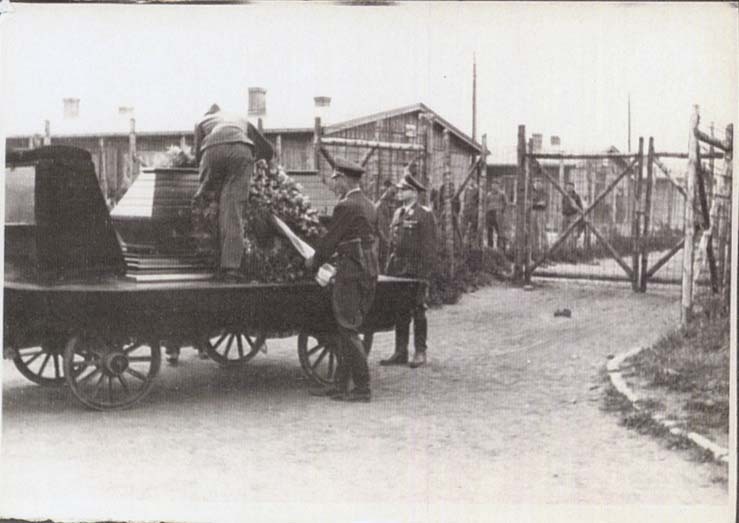 Arrival of new POWs to Stalag Luft I.
Coffin on truck with flower wreaths. In March 1945, one POW died of leukemia in the camp and one week later another POW was killed by a guard when he stepped outside the barracks not knowing an air raid siren had sounded. He realized his mistake and turned around quickly to return but was shot in the head and killed.